Between the bolded B and the underlined U on your computer Word tool bar is the italicized I, the paperback writer’s best friend. 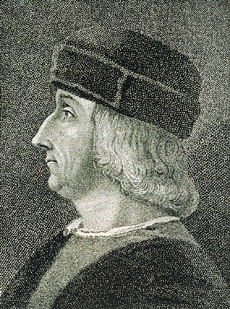 At least that was so in the 16th century when Venetian printer, publisher and businessman Aldus Manutius developed a typography ideally suited to fit a large amount of text into a small amount of space and so the paperback book was born. 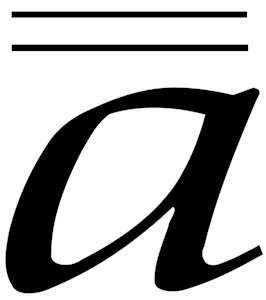 Pointed and clicked on for centuries by writers, students and graphic designers, the italics cypher is a letter with a secret intent, much abused and overused with little regard for its original use and meaning. Designed by Manutius in 1551 to mimic the cursive writing of Greek and Latin manuscripts favored by humanist scholars of the High Renaissance, it was considered a scholarly and noble font that also easily adapted to the paperback book. Today it has as many uses and misuses as handicapped parking spaces or the comma. And although there is a desire to eliminate cursive writing in our schools, the judicious and proper use of italics in writing honors a tradition of italic typography that if lost would surely diminish our written language. It would be a little like drinking imitation coffee. The intent is there but the depth of flavor is missing. Without the emphasis, contrast and clarification of italics, the writer’s words might prove tasteless. During the Renaissance the imaginative interests of the collector were often arranged in an armadio di curiosita’, a cabinet of curiosity. Bits and pieces in as diverse fields as natural history, geology, religious or historical relics and works of art were categorized according to the whimsy of the collector. Depending on your station in life cabinets of curiosities could be quite elaborate. Wealthy merchants, scholars and princes sought out rarities that were kept in highly decorative cases or in palatial rooms with vaulted ceilings painted with priceless works of art. Ferrante Imperato, a 16th century Italian farmacista from Naples, illustrated his own cabinet of curiosities in his book Dell’Historia Naturale published in 1599. 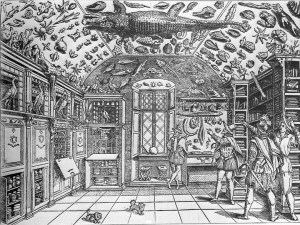 An engraving in the book showing a roomful of collections of preserved fishes, shells, minerals, gem stones, specimen boxes and covered jars included a stuffed crocodile suspended from the ceiling. The Renaissance fascination with new ideas created “cabinets of wonder” that still engage collectors and inspire designers today. 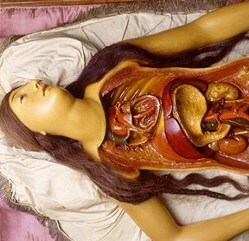 This led me to look into other Italian/Italian inspired curiosity cabinets. Using Discovery Channel’s new show ODDITIES as a learning lab I set out to see what I could find. Although far from the contents of Nonna’s old curio cabinet here are a few you might find interesting. A large collection of fossils, prehistoric tools and mineral formations overseen by Michele Mercati (1541-93) Director of the Vatican Botanical Gardens for Pope Sixtus V.
A collection of anatomical waxes and art developed in Florence in the 17th century for the purpose of teaching medicine housed in the Museum of Zoology and Natural History, known as La Specola, in Florence. Located next to the Pitti Palace, it is the oldest science museum in Europe with 34 rooms and contains a stuffed hippopotamus , a 17th-century Medici pet, which once lived in the Boboli Gardens. 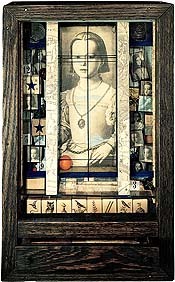 An Italian inspired curiosity box from 1948 by Joseph Cornell. My cabinet of curiosities is sure to include the food, wine, art and design of Italy, things from nature and science, Native American artifacts and religious relics, vintage collectables and a few more oddities from my days teaching biology. What’s in your curiosity cabinet? Did you know there’s wurtzel, stinco, strudel and ice in Italy ? 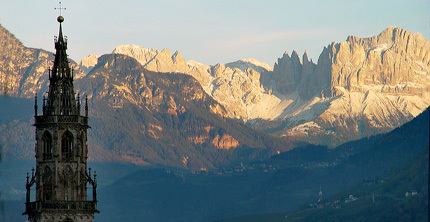 Bolzano is known as the Gateway to the Dolomites, a 3,000 meter mountain range formed 200 million years ago from the primeval ocean. Defined by their unique composition and staggering beauty, the 18 peaks of the Dolomites have been designated a UNESCO World Heritage Site for their geomorphology and spectacular spires. Bolzano is also known for exceptional local food, a wide range of outdoor activities (skiing, cycling, snowboarding, hiking, climbing), traditional Tirolean handcrafts (like the famous chubby cheeked Bozen angels from Thun) and ice. Located in the Northern Italian province of Trentino- Alto Adige (Sudtirol), Bolzano is a cross-cultural mélange that takes most travelers by surprise. Bordering on Austria and Switzerland, the region combines food, customs and language to create a unique taste and travel experience that is often overlooked by conventional tourists. Italian specialties like gnocchi take on the distinctive flavors of the SudTirol where gnocchi becomes canederli in the form of a speck flavored bread dumpling. There is a strong German influence in the region so foods like wurtzel (German sausage), stinco di maiale (braised pork shanks) and German inspired pastries are favored and it’s not uncommon to see apfelstrudel as well as studel di mele on restaurant menus along with plenty of German birra and regional Italian wines like ruby, red Teroldego. Traveling in this region of Italy is all about extremes. Rare chamois and mountain goat pick their way along rocky crags and edelweiss bloom in Alpine meadows alongside some of the highest vertical rock walls in the world. Adventure travelers look for unprecedented experiences ice climbing, mountain biking and hiking the via ferrata, “iron path”, where steel cables cemented in the rock assist climbers along the mountainside. 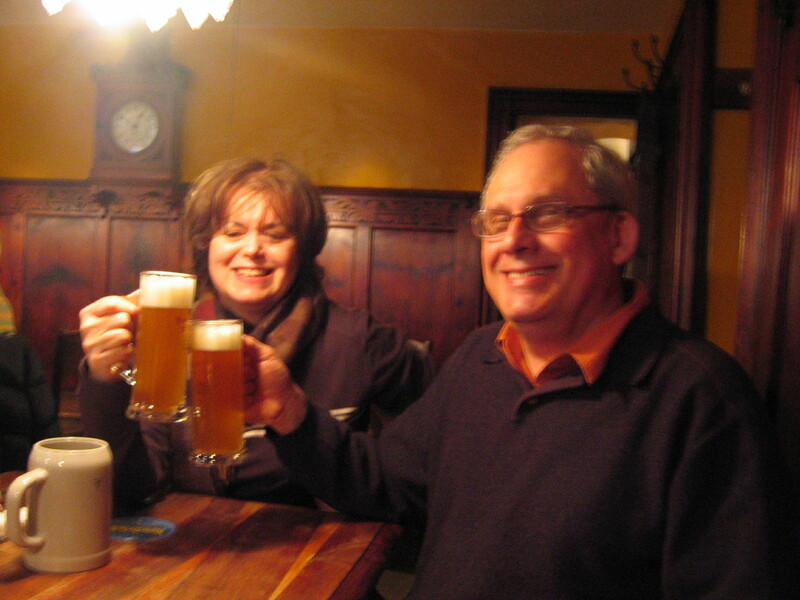 If your idea of adventure travel is more about extreme sights than extreme sports plan a visit to Hopfen and Company for some stinco and bozen bier. Then vist the South Tirol Museum of Archeology in Bolzano to see the Iceman, one of the world’s best known and most important mummies.The Iceman was discovered in the Ötztal Alps of Italy’s South Tirol in 1991 by two hikers who found the back of a human figure jutting out of the ice and melt water in a rocky gully. Finding and recovering the Iceman with his clothing and equipment intact provided a natural diorama over 5000 years old. Today a sealed refrigerated chamber exhibits and conserves the mummy of the Iceman. 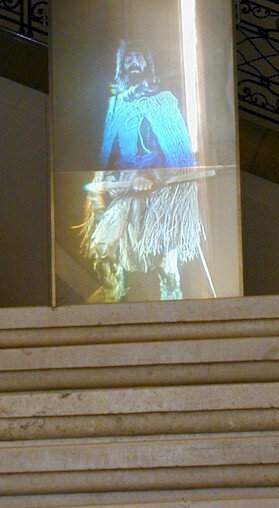 Visitors file through a darkened room to view the Iceman through a small window that measures 40 x 40 cm. A larger opening would result in excessive temperature fluctuations inside the controlled cell that would cause the mummy to be destroyed. Read more about the 5,300 year old mummy’s 20th year as a global sensation. Seeing and Savoring Lombardia in Northern Italy would not be complete without a plate of risotto alla Milanese. 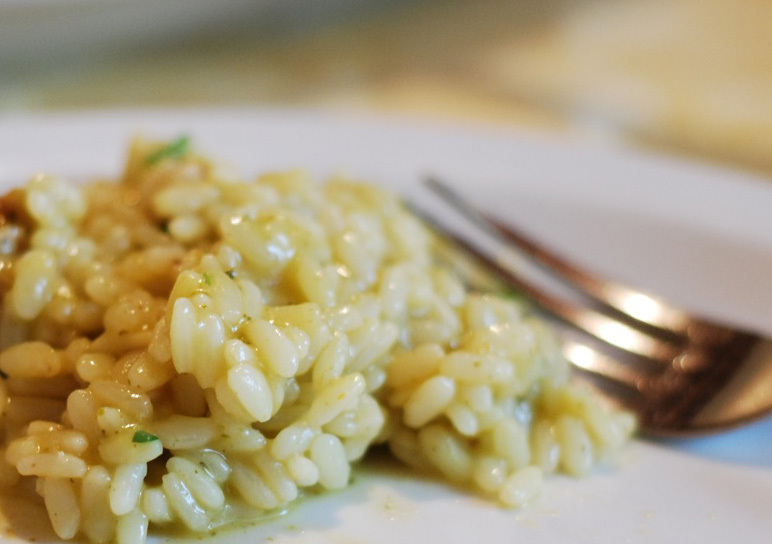 In this part of Italy rice, prepared as riso or risotto, is favored over pasta with notably French influences in the cooking and butter often used as a cooking fat. 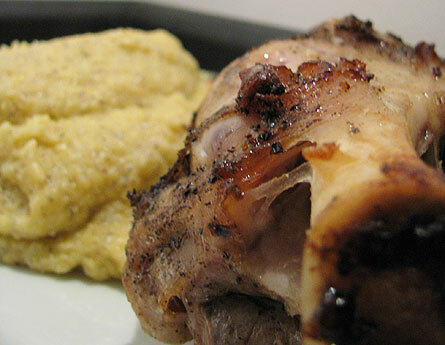 This recipe is from my mother in law, Marian by way of her mother in law, Epifania. Epifania, our Nonna (grandmother in Italian) was from a town in Northern Italy on the border between Lombardia and the Veneto with her extended family living in Milano. Nonna and many of the women in her generation though not thought of as gourmet chefs now find the food they prepared as casalinga (homestyle cooking) served in upscale restaurants . When Nonna passed away she was 84 years old. She had no inheritance to speak of, no treasure chest full of stocks and bonds, no vacation homes or lavish jewelry. What I received was a small yellow box, a gastronomic treasure chest of Milanese recipes. It included a recipe that has been described in Waverly Root’s book The Food of Italy as a “preparation which seems to be made of grains of gold”. Here is our family recipe for risotto alla Milanese alla Nonna e Marian. Saute1 large onion finely chopped in about 5 T of melted unsalted butter in a large heavy based saucepan ( I prefer non- stick).After the onion is softened and has taken on a golden color add 2 cups of risotto rice (Arborio, Carnaroli or semifino Vialone Nano). Nonna used arborio rice but also carnaroli when she could get it. Stir rice into butter, onion mixture until thoroughly coated but not brown. Slightly increase the heat and add 1 glass of white wine (Nonna never measured anything but most recipes take this to mean about ¾ cup to 1 cup), stirring the risotto as the wine is being absorbed. A pinch of saffron can be added at this time or it can be infused in 6 cups of chicken broth that has been simmering on the stove in another pan. The saffron will give the risotto milanese its classic golden color. Some cooks add the saffron just before the end of the cooking process in order to maintain its delicate flavor. At this point you will begin to slowly add the simmering chicken broth to the risotto, a ladleful at a time and cook the risotto over medium heat stirring constantly until it has absorbed the added broth. When the broth has been absorbed, add another ladleful and repeat the process. Continue like this until the rice can absorb no more.When is the risotto done? When the rice is of a creamy consistency yet the grains remain separate and al dente to the taste. Different types of rice vary in the way they absorb the liquid so Nonna would say “just keep stirring it until it is done”! Every risotto will be slightly different. But remember, you will be adding a handful of grated cheese and a pat of butter at the very end. The cheese will thicken up the risotto so do not allow all the moisture to be absorbed or you will have a paste.